Wow what a week of shred! 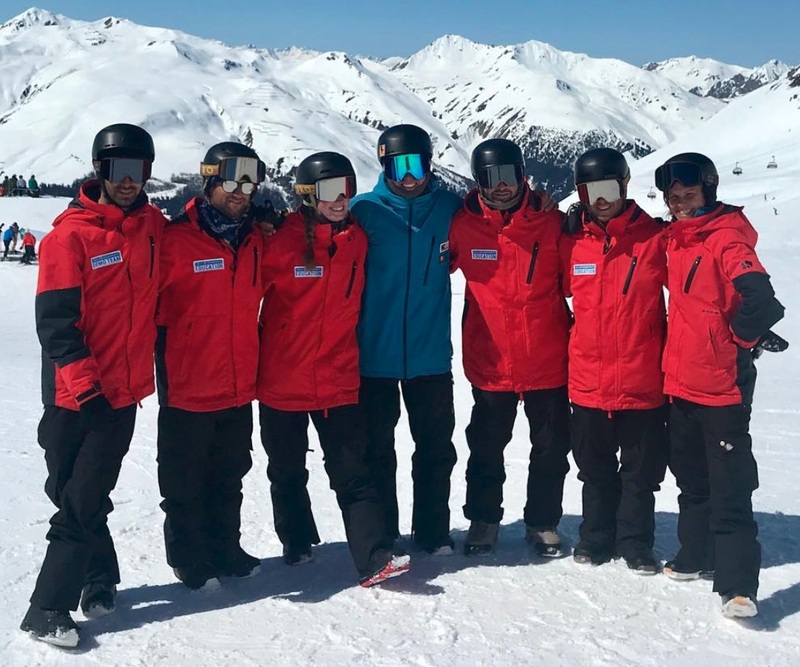 Fresh off the back of the 2019 Interski Congress, I travelled to Davos Klosters with a couple of the Swiss Demo team members. I spent a full week there to shadow and learn more about their system structure, teaching methodology and their technical riding. Davos is full of wide groomers and extensive lift systems including a T-Bar access Pipe at the base of the resort. Each day there were clear morning and afternoon focuses that prioritised park & pipe and short-turns – mostly on-piste. Each day we caught first lift and rode till around 3:30 with a solid 45min or so reflection time, normally over an espresso, beer or cheesecake at a mountain log cabin cafe. An indoor lecture usually kicked off around 5pm and lasted 45 minutes. These sessions involved a powerpoint which highlighted key points from the day’s theory and introduced the following day’s focus. The intent of spending time indoors here was to encourage discussions. To kick things off the Swiss Snowsports Educators did a quick Level Two progression structure. Here we went through a variety of trick progressions and created them though a whole-part-whole method approach or a part-part-whole progression. The level of difficulty was quite high, however there was always an easier combination that could be achieved by all participants. It was important to focus on the ride time and get plenty of laps in to keep the crew on the move. Very much a try-by-doing approach. Rhythm exercises were big on day one and continued to be blended in through the course of the week. These included switch-carve tasks like the classic funnel exercise, pairing up and riding the rhythm of your partner, watching their tempo and taking note of their partner’s movements. Practicing precision of familiar tasks was key here and to help this each pair was asked to follow-cam the other and review the footage. This same process occurred in almost all other riding tasks during the week. One rider would be the ‘sun’ and make evenly timed short-turns. The partner’s goal was to maintain the same turn rhythm as the sun, however ‘orbit’ around the centre rider in both directions. Both watching and listening for the riders turns was key as they made their way down the blue groomer. The rider up-hill would use their belt as a leash to restrain the down-hill rider for gaining speed in their short-turn. The down-hill rider had to focus on rhythm while holding the belt in their up-hill hand. 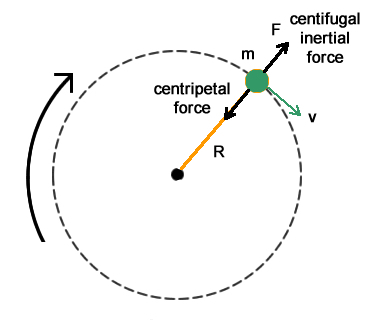 Goal: to understand the apparent forces in the turn, centripetal, centrifugal, inertia and gravity ‘forces’. In another example, although not explained in detail, the euro-carve was also used to highlight how each forces were appeared. This video might help explain each of these forces. These styles were later used in the zipper-line to achieve quick and powerful rotation to achieve fast pivot around each bump. When asked, the candidates knew the chances of using this turn type was rare, however they understood that it depended their understanding on how rotation works and how it can be applied to other riding tricks/tasks – in the park for example. The 20 foot halfpipe was cut every day, not perfect transition (it was full spring mode after all) but it held up really well each day considering it was at the base of Davos village. After explaining the main zones in the pipe such as transition the night before, we got plenty of laps in and the Educators gave feedback around alignment, flattening the base at the vert and core rotation. Airing out of the pipe 20-30cm on each wall was the target for the men and consistently at the coping was the standard for the ladies. – One 360 of choice over the largest jump in the beginner park – similar to the SBINZ Level Three. – Air to the coping of the pipe for the ladies and 20-30 cm above the coping for the guys. Recap of the Level Two: They need to prepare a 3 hour written lesson plan and then teach a 30 minute component of it to their peers. Level Three do a 45 min lesson to pre-arranged “real life” clients that pay only $15 – the candidate learns the goal 45 min prior to the lesson commencing and teaches just like in a regular lesson. Making the lessons social with plenty of ride time was important. Whole part whole style approach was encouraged along with a VAK style of teaching. Plenty of pairing up was key to build mileage once the students were practicing a skill. Growth of precision was important here. When marking the lesson, positive and negative points were addressed. 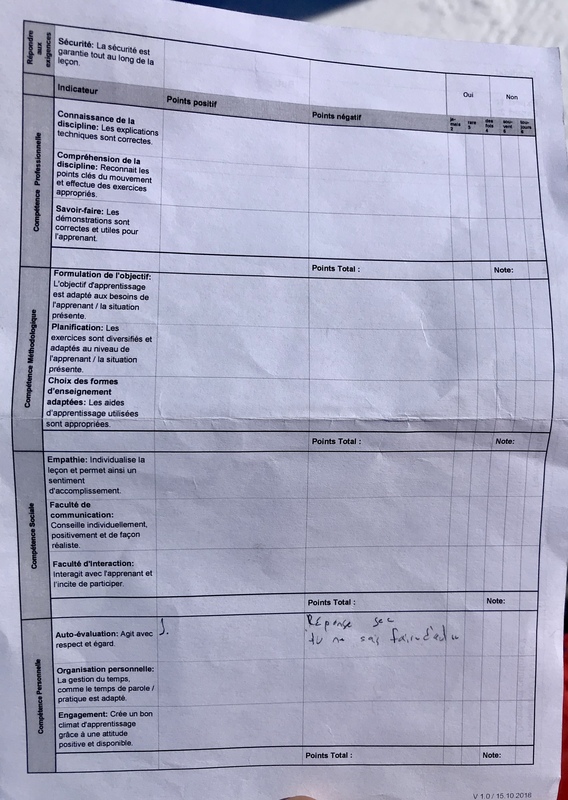 A 2-6 scale was used with either a yes or no box to state whether or not they had passed that section. Although I did not attend the examining week, the pass-rate is generally 60-70%. A week of stunning sunny conditions set the tone for the Swiss Level Three prep course. It is great to see so many parallels when it comes to maintaining a high riding standard. A very park/pipe, carve and short-turn focused week, however the off-piste modules are covered in a separate course. Teaching standard focused on a lot of ride-time vs talk-time which was great. I noticed the more experienced instructors were good at explaining the “What and Where”, with some including the “How and Why”. – 30 total mostly in their 20s, with around 7 girls. In order to obtain the full Level Three, it is not as straightforward as SBINZ. There are different modules held at different mountains and multiple days throughout the season. Freestyle, tourism and off-piste modules are separate. The Level Three I shadowed was largely short-turns, park & pipe, ground tricks and carving. The movement patterns, particularly vertical movement was very obvious and quick, along with some of the rotational movements. Some of the tasks required showed ownership and control of a movement, even though they would not ride that task much when freeriding. They understood these tasks to help with coordination and timing in other areas of snowboarding. 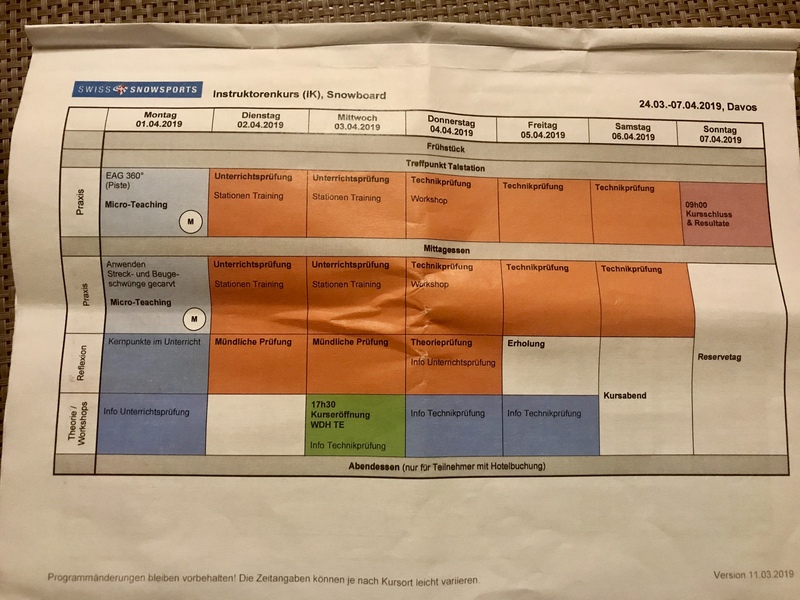 The area of SBINZ that the Swiss were most interested in the most seemed to be e-Learning, Question Based Learning and the timing of our turn-type tasks, e.g. the timing of down-unweighted turns. I felt the Educators running the course were strong riders and confident Trainers. They were all keen to develop their course content and take on new methodology. A major factor in holding them back from e-Learning and other new initiatives however was the ski division and funding to make changes. I feel grateful that NZSIA have a progressive structure with cohesive divisions working together, and has a Board and Committee in place that achieves a lot of progress each season. The opportunity to travel to Switzerland and meeting Educators and their Candidates face-to-face was invaluable. It was great to put a face to technique, share resources, ideas and developing more understanding about what they do and why. I see a bright future in exchanges, not just within SBINZ, but with other organisations around the world. Weekly plan for pre-exam workshop: AM, PM, Reflections, Theory Workshop.